With the weather still glorious I finally got to go on an adventure I had been wanting to do for ages – a sea level traverse of Gogarth main cliff. As a landlubber rather than a water-lover I was careful to make sure I went with 2 freinds who teach water-sports. That way they could haul me out if I started to drown! We started at North Stack lighthouse and went through some subterranean tunnels to bring us out in to Parliament House cave, then along past Wen Zawn and Easter Island Gully before reversing the usual main cliff traverse. The sea was amazingly calm and it was great to be able to scope all the routes without the fear of actually having to climb one of them! This full traverse has been done without any swimming or getting wet but I believe it goes at about E6! Far more fun to have a wetsuit and climb what you can and swim the rest. Thanks to Gaz Davies for the photos. The sun continues to shine so its back to Ogwen for more new adventures. This time its up to Gyder Fach main cliff. This is a complex big cliff with many aspects to it. 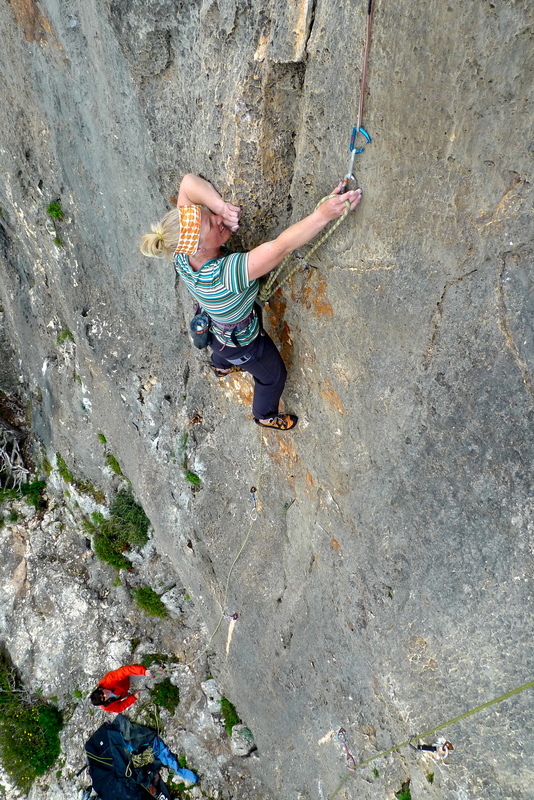 While there are some longer routes that go the full height of the crag there are also many great 1 and 2 pitch routes on the numerous buttresses and walls that can be accessed from various gullies and ledge systems. 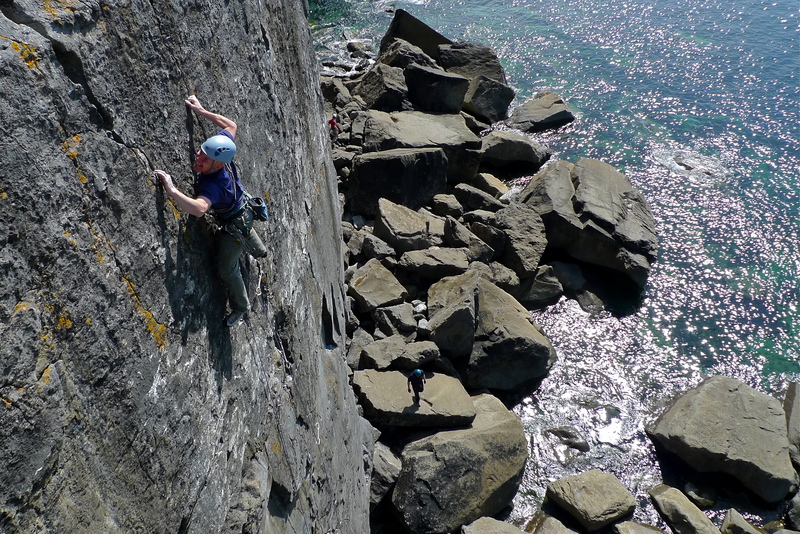 While there are some fantastic easy and mid grade routes today we were after something a little harder. perhaps the pick of the bunch was Hyndsight which is a pretty unique pitch which requires some ‘monkey up a stick’ tactics for success. It climbs a pillar of rock just less than an arms span wide. The only problem is in the top third there are no holds on the pillar. The only way to stay on and head upwards therefore is to slap you hands up either side of the pillar while smearing on the front face with your feet. All quite exciting really and I was just seconding it! Rather like trying to climb up a very tall wardrobe. 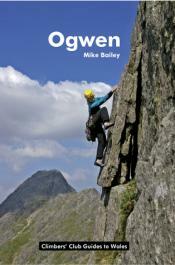 New Ogwen Climbing guidebook out now. 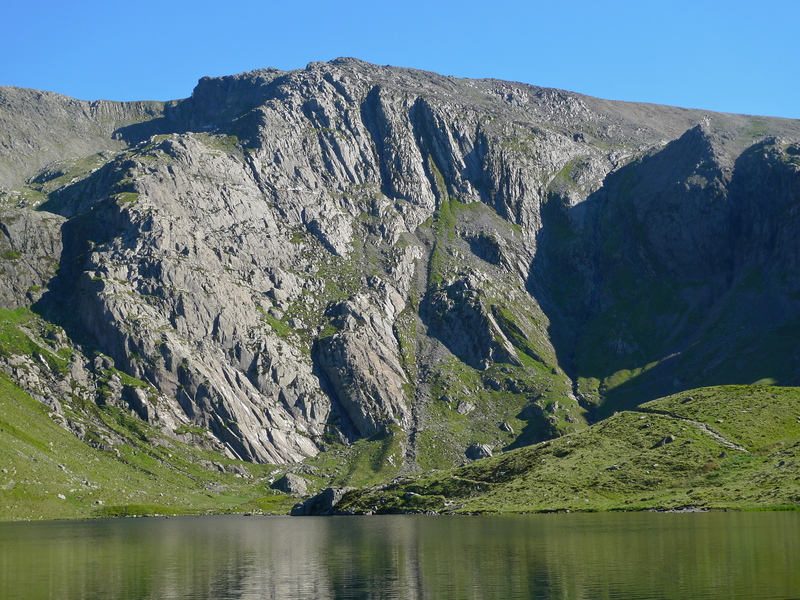 The keenly awaited new climbers club guidebook to the Ogwen Valley is now available. With all the great weather we have been having lately there was no better excuse to check it out. It is amazing the effect some good colour photos and photo diagrams can have. 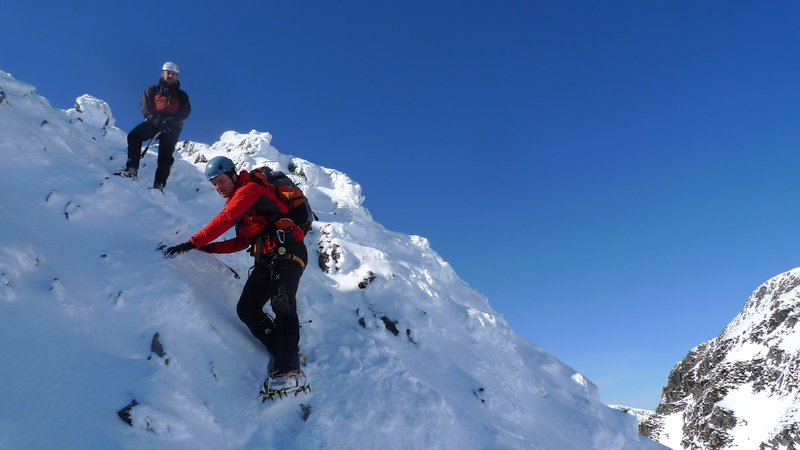 While there are a lot of new routes in this guide there are many crags that already existed in the old guide but suddenly seem worth visiting simply because of good colour diagrams – we are a simple bunch. As a result a few good days have been had out already. One was spent exploring the area around Suicide Wall, another the area near South Gully, Cwm Idwal (hmm not the best route that one but it was not my choice eh Al!) and another afternoon on the routes around Devils Norwand area. Talking to other climbers the new guide seems to be creating quite a renaissance for the Ogwen valley. 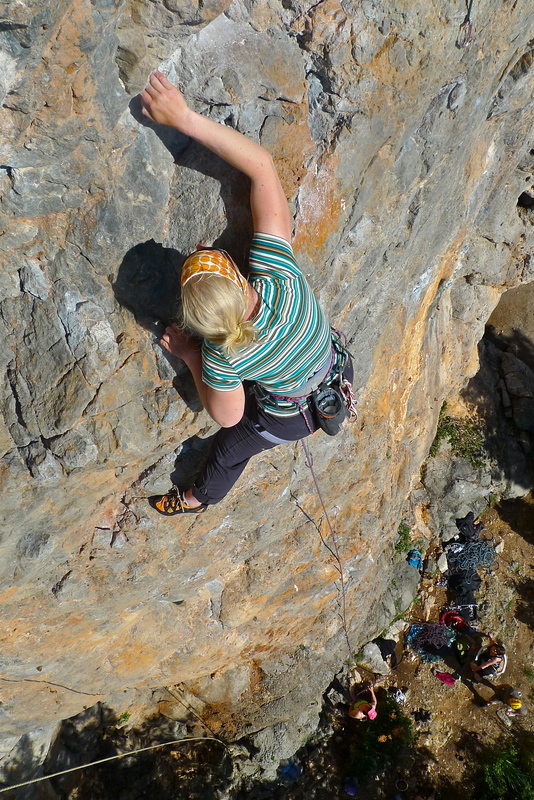 Posted in Rock Climbing | Comments Off on New Ogwen Climbing guidebook out now. 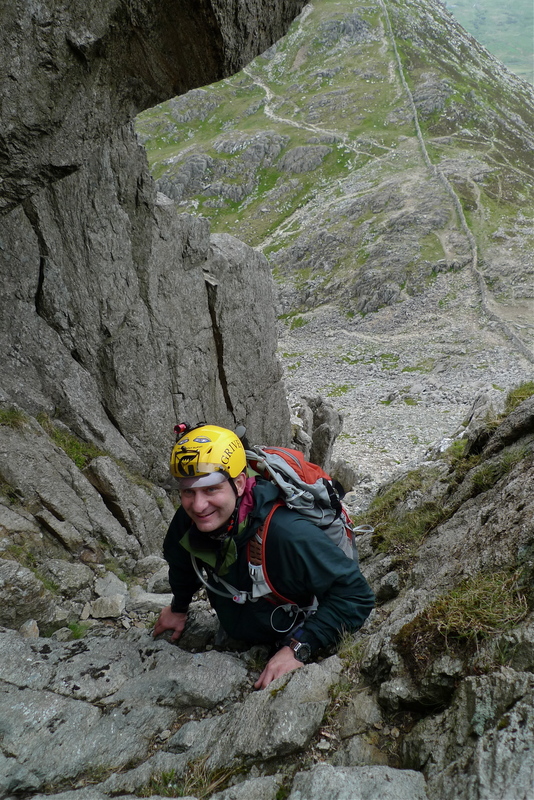 High on Bristly Ridge, Glyder Fach. Tryfan behind. Today I have been out scrambling with Oliver. 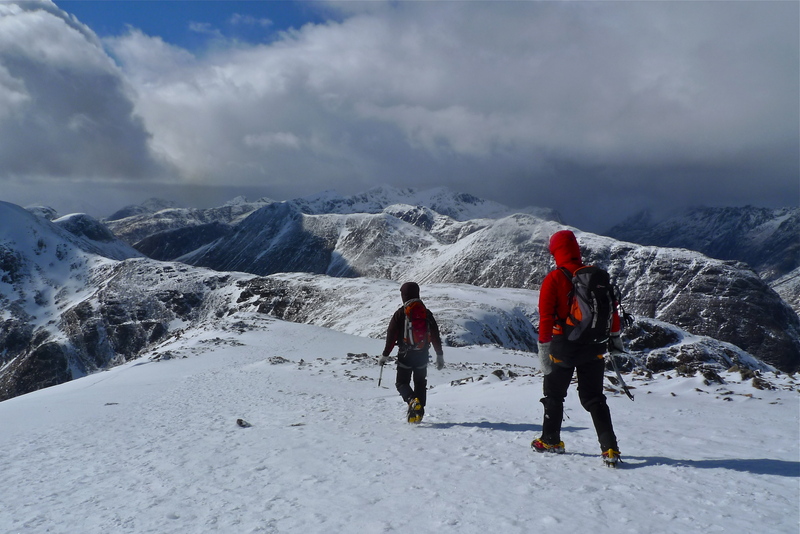 He is off to Chamonix in a week to attempt Mt Blanc while raising money for charity. Final opportunity to work on some last minute mountain fitness and a first opportunity to play with some new toys. He had just taken delivery of a helmet cam with which he hopes to film his ascent of Mt Blanc. This was the first chance to try it out. Maybe a little of todays footage will even make it through to the final edit of the completed film and a new career as a film star beckons!! Best not give up the day job in the meantime. 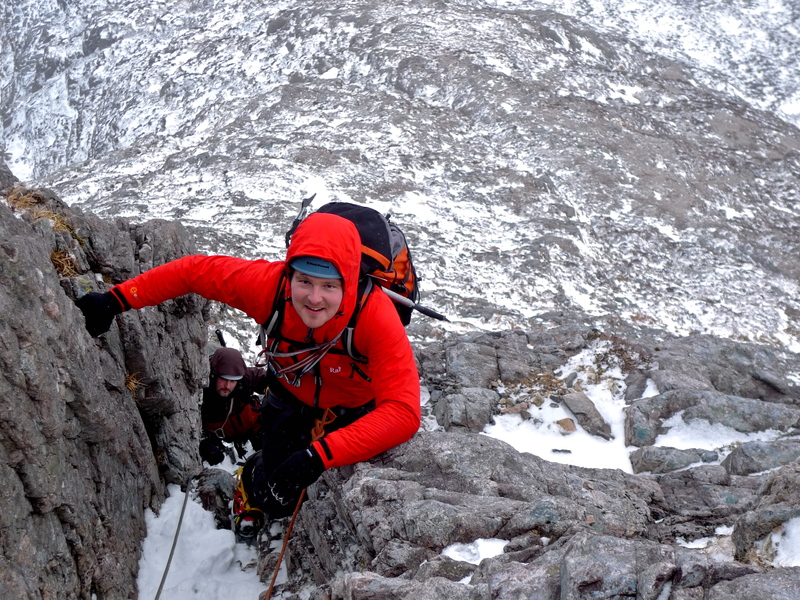 We started with an ascent of Bastow Buttress Variant on the East Face on Tryfan before continuing up the very crest of the North Ridge to the summit. We then descended to Bwlch Tryfan before a pleasant ascent of Bristly Ridge. 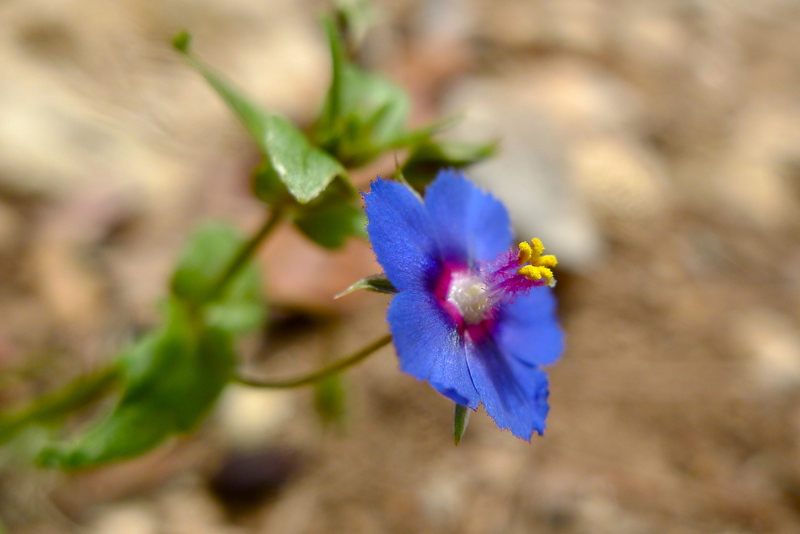 The mountain flowers are just coming in to full bloom now and we had fun identifying most of them. The bog loving plants such as cotton grass, butter wort and sun dew were particularly evident as we made our way back under the west face of Tryfan back to the car. Good luck to Oliver next week. I hope the weather gods shine on him and he makes it to the summit of Mt Blanc. “Like Pembroke but without the polish” is how I found myself trying to sell a trip to the Burren to my prospective partner, Nick, even though I’d never been there myself. Well I managed to convince him to come and I can now report that the climbing is every bit as good as the best bits of Pembroke and there is definitely no polish. You are more likely to come back with bloody finger tips from some of the coarse crozzly rock. The Mirror wall is the Burren’s greatest asset. Approx 200m long 40m high and as smooth as ….. um … a mirror. Or so it appears from a distance. Up closer you see it is split by many stunning vertical crack lines. It is a simply stunning wall. 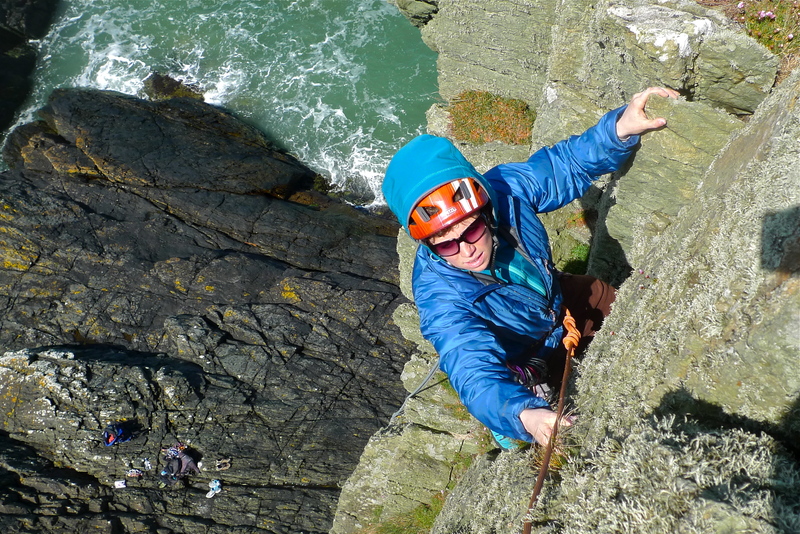 Unfortunately the base of the tidal wall is heavily undercut and most of the routes in the middle section can not be started from the boulders but require a hanging belay from small ledges just on the lip. And the protection on these routes is better than great too. By the end of the week we’d realised that you could pretty much climb these routes with a rack of nuts 4, 5 and 6 and in the end were carrying 3 or 4 of each! 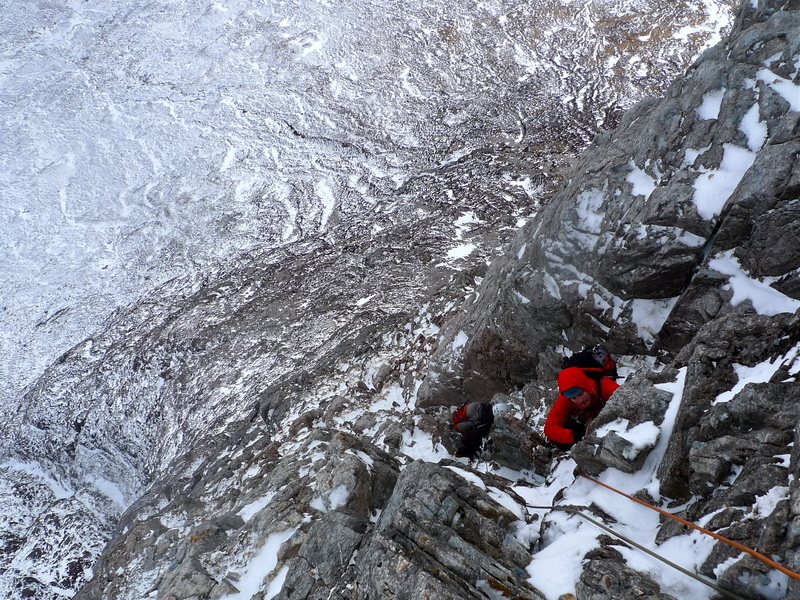 The Quality of the climbing was so good we never even bothered to explore any of the other local crags. 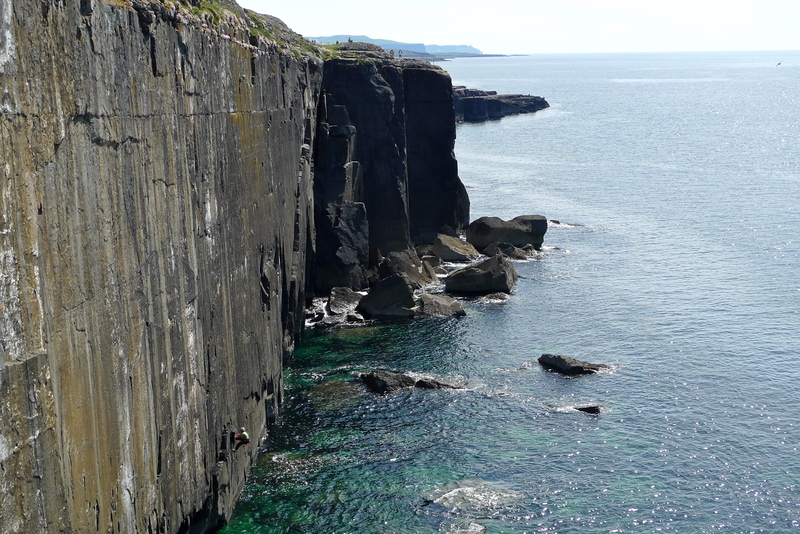 At the end of the week however 4 of the team made the short ferry ride out to the Aran Islands and came back wide eyed with tales of massive cliffs, loose dirty rock, and lots of adventure! Andy was heard to declare them as the biggest most impressive walls he had seen in the British Isles. So if you fancy a trip somewhere new, get the excellent guidebook, catch a ferry to Dublin and go and sample the local Guinness. 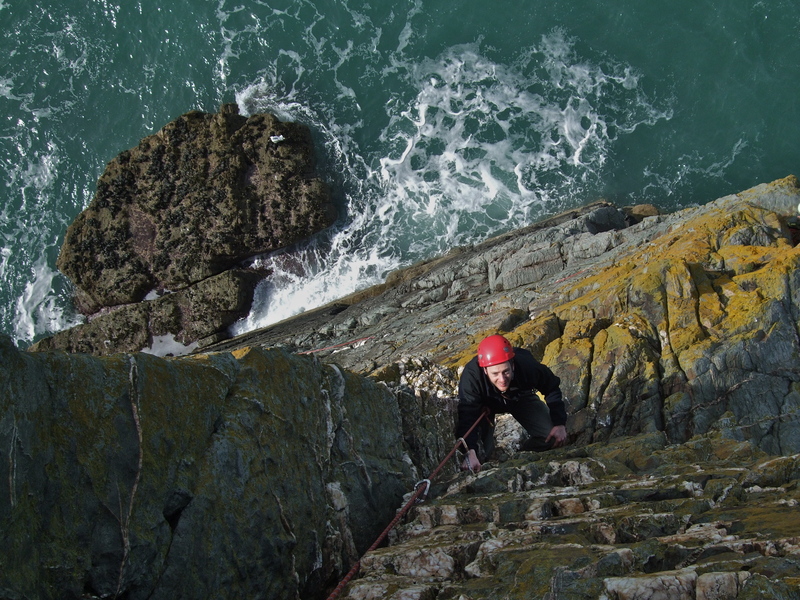 Living in North Wales we are spoilt for variety of places to climb. Some crags are without doubt better than others and if you are not careful you do find yourself visiting the same venues over and over. The mission today therefore was to go somewhere we had never been before. 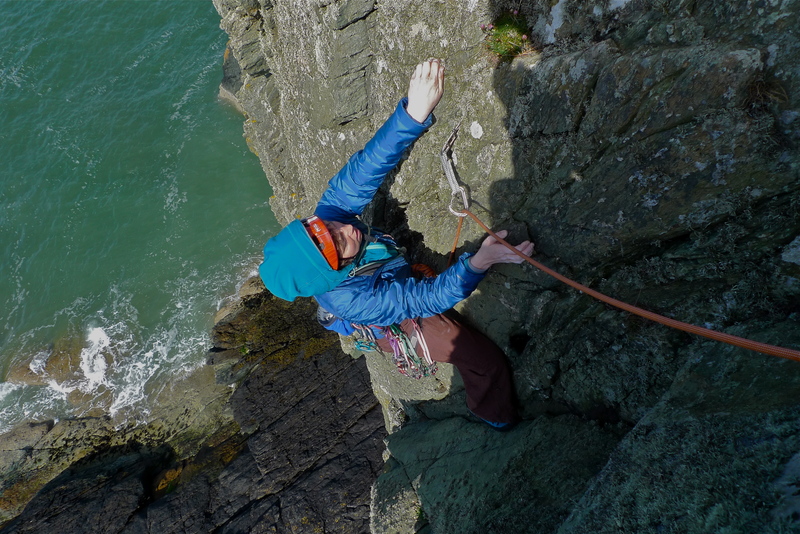 While routes were being checked for Ground Ups, Gogarth North guide which came out last year a new wave of interest was seen for the crags on the north coast of Anglesey. New crags were developed and old ones breathed new life. 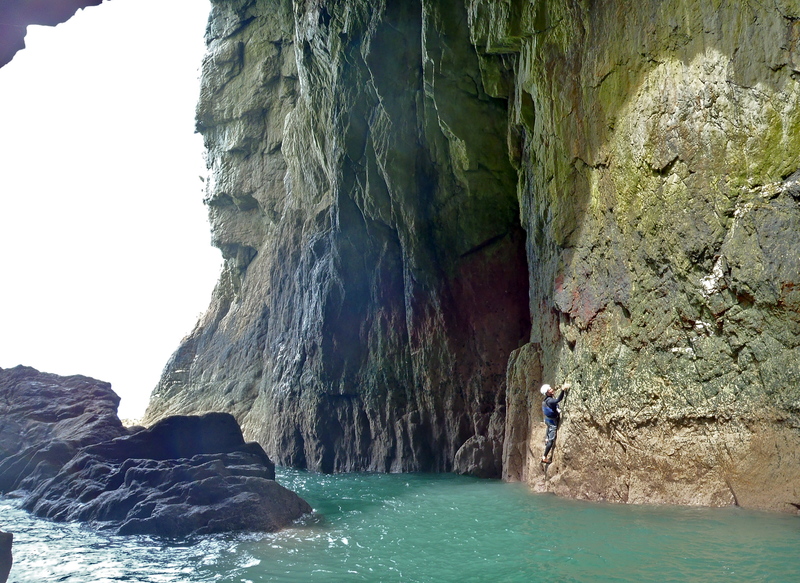 Having never been to any of these crags we decided to head for Bull Bay which has 5 crags very close together. Sunset Wall proved to be a very pleasant little crag with 3 routes – HS, VS, HVS though we did notice that the descriptions and lines on the photo topo seemed to have been mixed up. Having dispatched all 3 routes we went to check out the very impressive Equestrian Walls which has some pretty adventurous looking routes. The coastal path was in full bloom with flowers. In the 15 minute walk we spotted 10 flowers we could name and one we could not. If you know what it is (see photo below) please let me know. Those we knew: Gorse, Bluebells, Campion, Liverwort, Stitchwort, Primrose, Sea Spury, Sea Thrift, Trefoil, Tormentil. 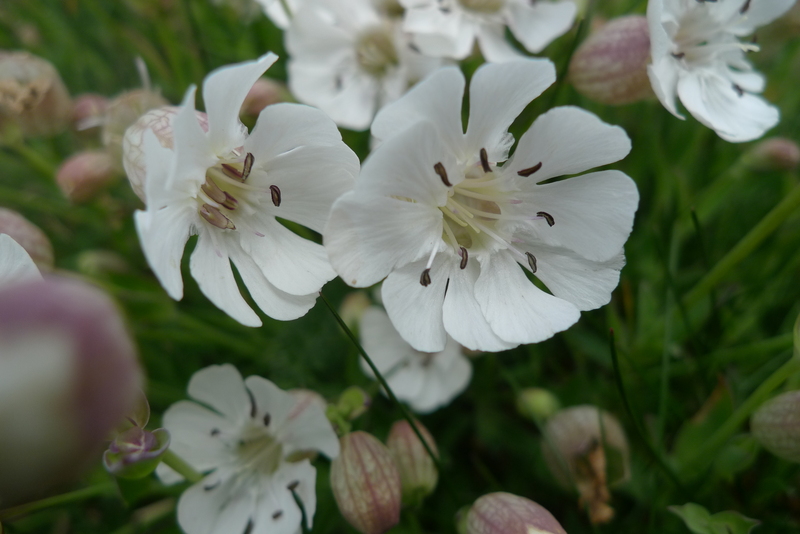 Todays mystery flower - do you know? 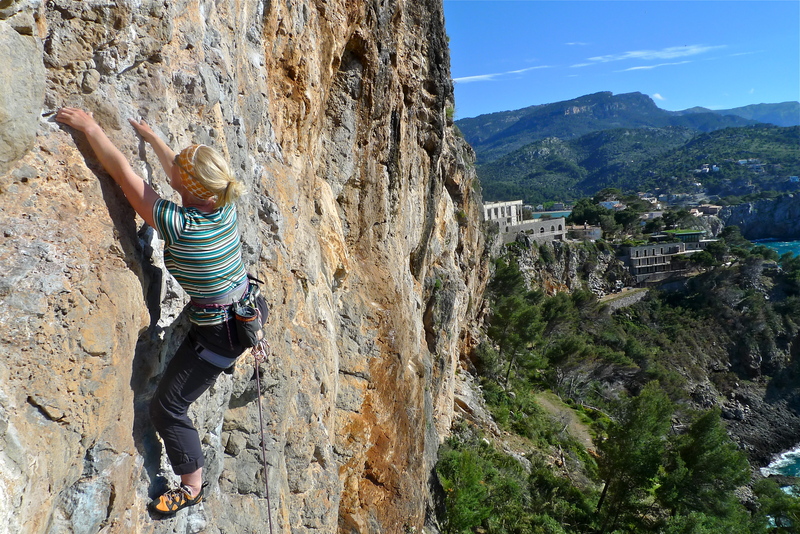 Majorca has some fantastically varied sport climbing. While the most recent crags developed in Spain all seem to be super steep caves littered with grade 8’s and 9’s that is not the case in Marjorca. 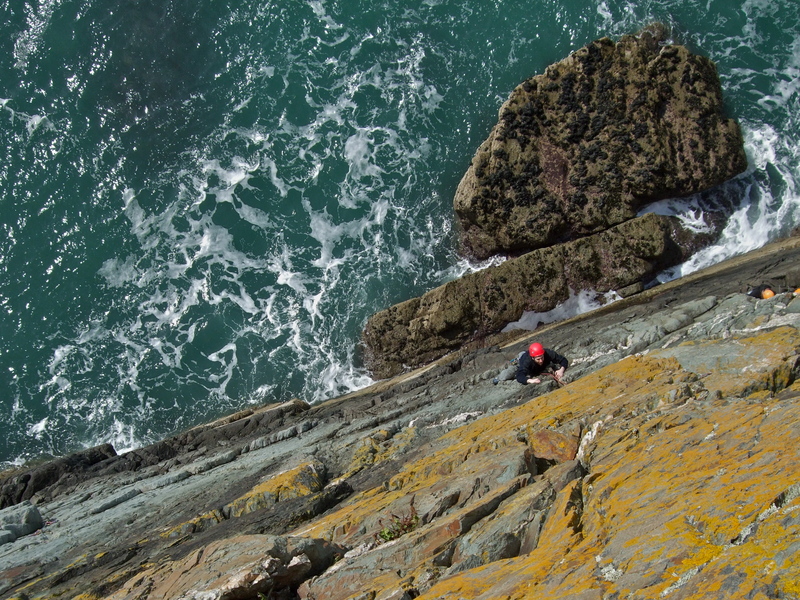 There are steep pocketed walls, fingery slabs, overhanging tufas and technical face climbs. Add in that the crags have a mix of single pitch and multi pitch and a variety of locations from roadside access, steep gorges, mountain crags with amazing views and tranquil coastal crags and it all adds up to a great holiday destination. I’ve just returned from a great week there – we were even forced to have an extra three days due to that Icelandic volcano, and the other thing we noticed was just how quiet the crags were. 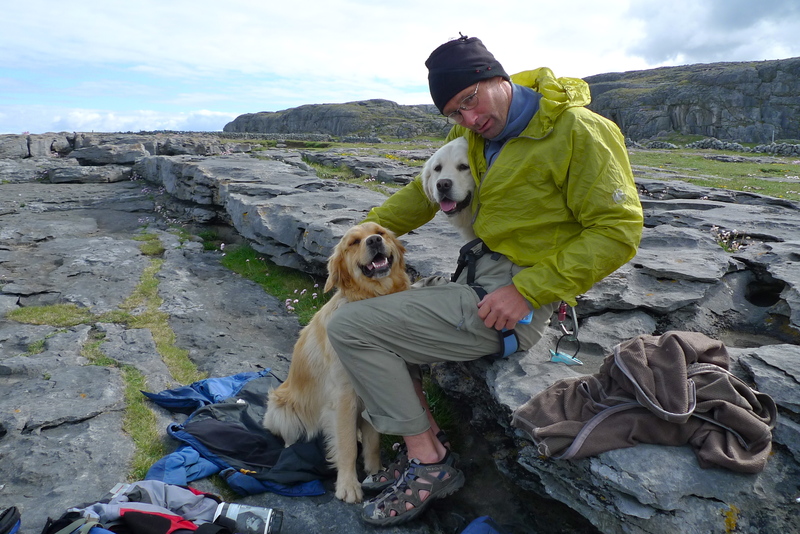 We often had an entire crag to ourselves and even if we did have to share it, it was never with more than one or two other teams. 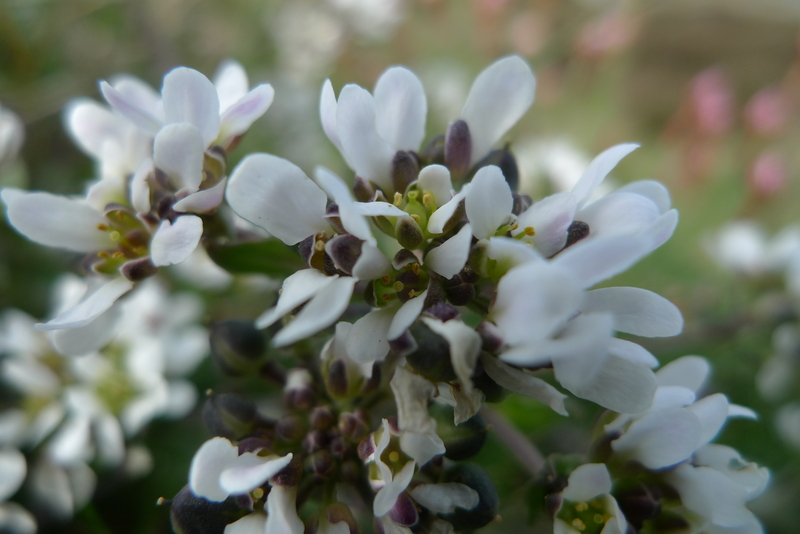 The flowers were in full bloom and the wild herbs added a wonderfully fragrant smell. 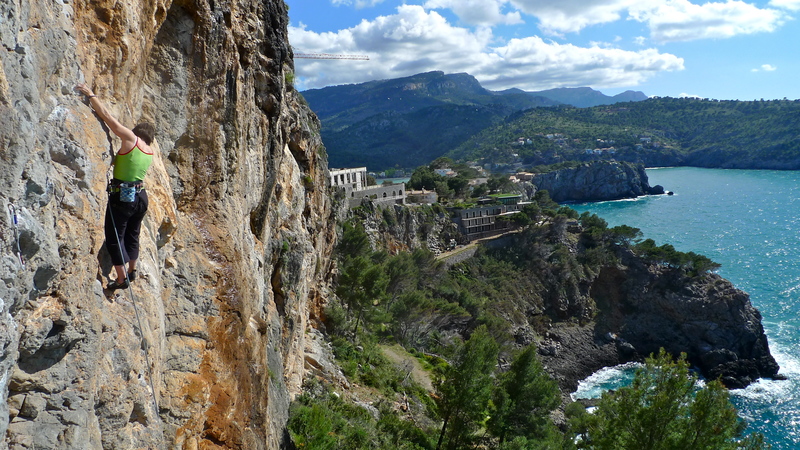 If you were looking for something different Majorca is a great place for Deep Water Soloing though that is probably better left till mid/late summer when the sea temperatures are warmer. And if you wanted a day off from climbing road biking is very popular on the island with bikes hire easily available. 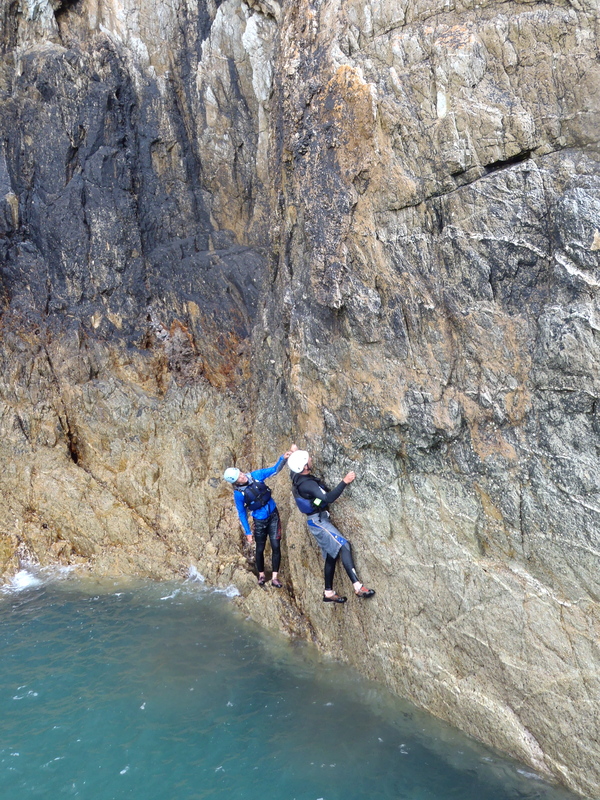 Today was only Phil’s fourth day climbing and we decided abseiling in to a tidal sea-cliff seemed like a great idea! A pretty rapid learning curve by any standard but Phil and the others on the course took it all in there stride. 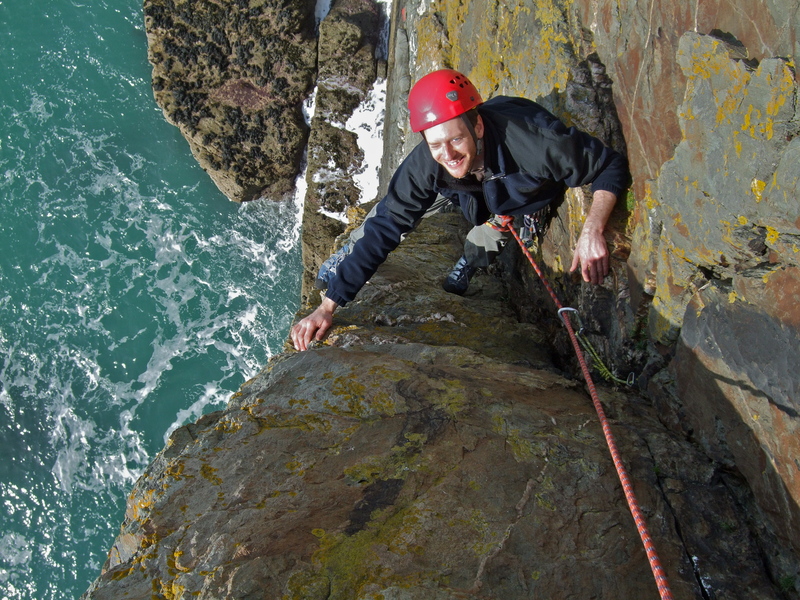 There was a very noticeable nervous silence among the group when we arrived at the top of the crag to set up the abseil but then I regularly feel like that at Gogarth myself even after 20 years experience! The sun was just coming round on to the crag as we arrived and though there were a few damp spots it did not detract from the climbing and wonderful atmosphere. As usual we had seals and seabirds for company all day. 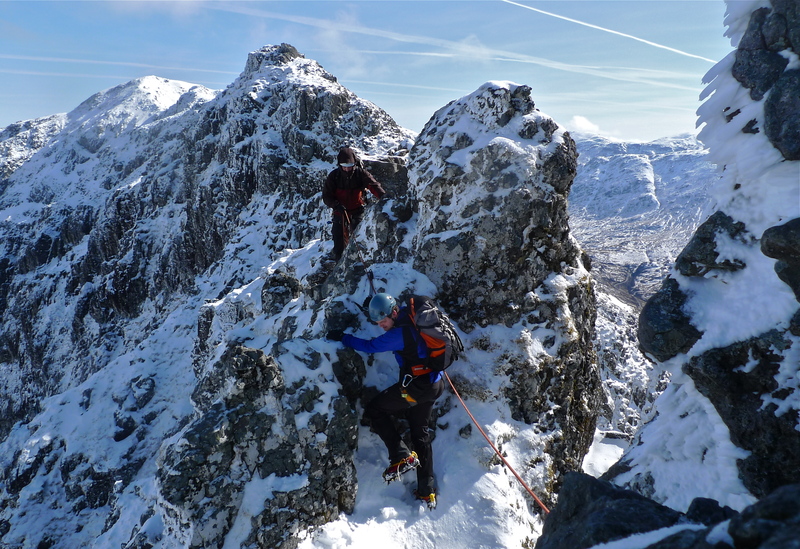 We started with Lighthouse Arete which went very smoothly then after a spot of lunch in the sunshine went down again for a combination of Rap and Pel (Rapell – get it, the route directly under the abseil line). 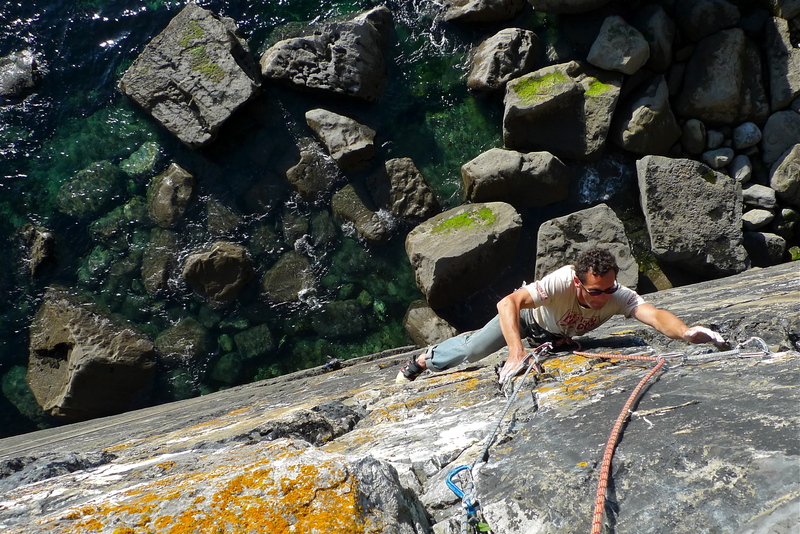 Everyone thoroughly enjoyed their seaside adventure and first taste of sea cliff climbing and agreed is was well worth the drive from the mountains. 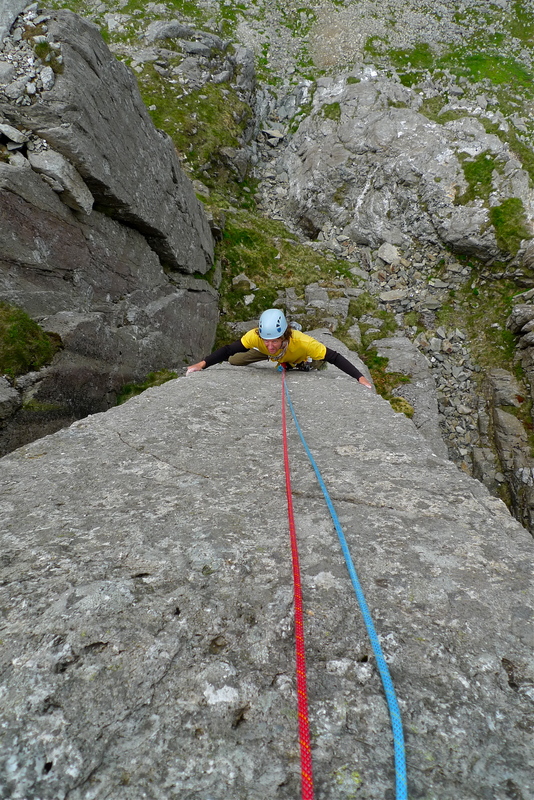 This week I am working for Plas y Brenin on an Intro Climbing course.